Minister for Foreign Affairs of Finland Timo Soini's speech at the Hand over ceremony of the EC presidency Strasbourg, 21 November 2018. It gives me a great pleasure to address you at this important moment. I am both honored and humbled by the task of the chair of the Committee of Ministers of the Council of Europe now ahead of me and Finland. Indeed, the task of the chair of the Council of Europe does not come to a member State that often – only about every 20 years. For Finland, the Council of Europe has always been an important international forum. We strongly support the work of the organization in human rights, democracy and the Rule of Law. Our aim has been and continues to be a strong and reliable partner for the organization in its core mandate areas. Why is this organization so important for us? To put it simply: the work of the organisation is for the benefit of our people! We believe that the European Convention for Human Rights, the Court, and numerous treaties of the organization are for the benefit of all individuals. Last spring, during the preparation of our Council of Europe Presidency we organized an event for civil society to discuss our programme and priorities. There I reminded the audience that the Council of Europe is not just one organization among many organisations. No. It has brought to us things that we very easily take for granted today: abolition of the death penalty, elimination of torture, freedom of expression and speech, freedom of religion, as well as freedom of assembly and association, and many, many more. I believe that we should more often remember this basis. In troubled times the rules-based multilateral cooperation becomes even more important. We need more cooperation, not less. I believe it is of interest for all countries to remain a part of multilateral cooperation. The Council of Europe is an essential platform for the rules-based multilateral cooperation in Europe. I listened with interest and respect to my colleague Ms Marija Pejčinović Burić as she presented the results and outcomes of the Croatian presidency. She also told about the challenges that Croatia as a chair addressed during the past six months. Indeed, it is a challenging time for the Council of Europe in many ways - politically, economically and institutionally. During the next six months Finland will do its utmost to help the organization in finding solutions to these challenges. However, we do not even imagine that we could do this alone. We need support from all member States of the Council of Europe. We will actively discuss with all parties to find solutions. Inter-institutional relations, in particular between the Committee of Ministers and the Parliamentary Assembly, are also dear to us. We will make our best to build trust. All institutions of the organization are crucial in fulfilling their mandates. When it comes to obligations of member States, I want to be quite clear: all member States should fulfill their membership obligations. This includes membership fees. The reform process of the Council of Europe will take place during the next 6 months. The reform process will be an important time to look into the work, procedures and working methods of the organization. I hope we will be able to have a good and fruitful discussion on the reform among the member States. In order to have a deep and inclusive discussion that will lead to a good result in Helsinki in May 2019 we need time. Therefore, Finland finds it crucial to begin the discussion on the reform as soon as possible. We believe that the core areas of the Council of Europe will have to be secured and even strengthened during the reform – Convention system, Court, Monitoring mechanisms, Commissioner for Human Rights. The reform is also a useful opportunity to look into the future human rights issues such as new technologies and artificial intelligence. We hope the reform process to bring along also issues such as increased openness and efficiency and enhanced ability of the Council of Europe mechanisms and instruments to react swiftly when needed. There is no doubt that this organization is very much needed and relevant. I have the pleasure to present the priorities of the Finnish presidency. The process of preparing and selecting the priorities included many ministries, and as mentioned, we also heard the civil society. We have three priorities. The first and the most central priority is strengthening the system of human rights and the Rule of Law in Europe. As I told at the beginning of my presentation, we wish to highlight the importance of the human rights convention system, the European Court of Human Rights, numerous other treaties and monitoring mechanisms as well as the commissioner’s work. Under this priority we address also new questions affecting human rights namely artificial intelligence. 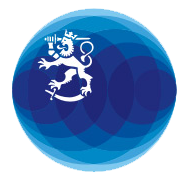 A high level conference on artificial intelligence and human rights will be organised in Helsinki on 26-27 February 2019. Other events under this priority include an anniversary seminar on the Court of Human Rights in Strasbourg in November and a conference on Rule of Law tools and indicators in Tampere, Finland in February. The second priority is very dear to us – promotion of equality and women’s rights. I just spoke earlier this morning in the World Forum for Democracy on Women, Security and Democratisation. I repeat here what I said there: Finland is a staunch supporter the Council of Europe’s work in the field of elimination of violence against women. The Istanbul convention is a truly remarkable achievement and we urge all countries to ratify it and implement it. While Finland is a forerunner of women’s rights in many ways, the violence against women remains a problem for us too. It is something we need to tirelessly work at. Our third priority is openness and inclusion as well as a focus on the youth and prevention of radicalization. This theme underlines the role of the free and active civil society as a key to functioning democracy. We stress the importance to support and protect human rights defenders. During our presidency there are two events in particular on -and for - human rights defenders, one in November in Strasbourg and other in December in Helsinki. The latter is organized by Office of the Commissioner for Human Rights. We organize also another event together with the Commissioner for Human Rights. This is an event marking the 20 years of the Commissioner’s institution and it takes place during the PACE week in January. We are proud to have been initiating such a prestigious institution and its work has our strongest support. It is of great importance to involve young people in the discussion on the prevention of radicalization. I have personally visited many schools, met young people and discussed with them on this topic. I have to say – this has been a valuable effort. Young people are smart and they are interested and eager to get their voices heard. Finland has a great school system. This is something where I believe we can sincerely share good experiences with other countries. Inclusiveness and human rights and democracy education are useful ways to prevent marginalization as well as violent radicalization. To conclude, I wish to welcome Foreign Ministers of all member States to the Ministerial meeting in Helsinki, in the Finlandia Hall, on 16-17 May 2019. No doubt we will have great deal of demanding tasks ahead of us there – for example the reform. In addition, we will have an anniversary event to mark the 70 th anniversary of the Council of Europe in the evening of 16 May. Welcome!